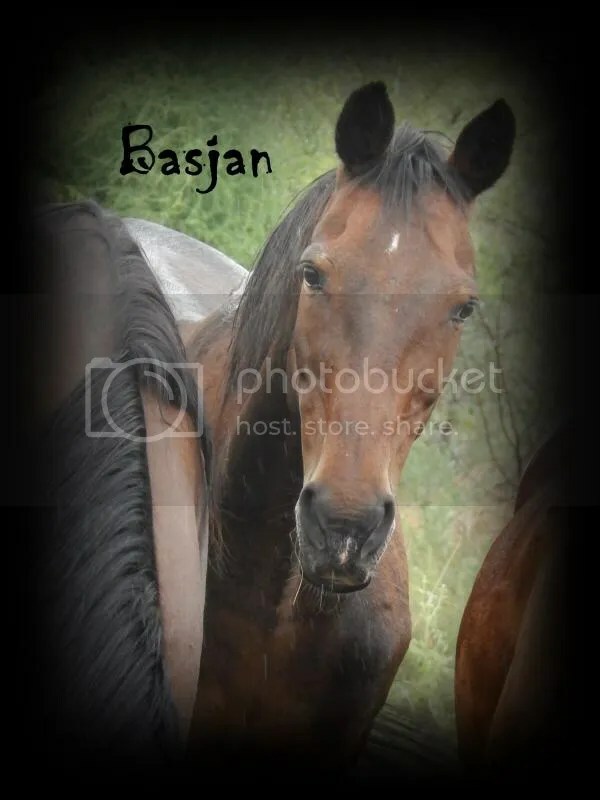 For those of you who’ve been here a while, you’ll remember that I’m quite into horses and purchased a gelding a few years ago named Basjan (short for Sebastian). Originally the idea had been to purchase a horse that I could utilise for endurance and competitions but meeting Basjan changed that. He wasn’t young, he wasn’t necessarily in peak condition at the time of purchase and he was too small for me. He wasn’t even really a horse, falling just short of the 15hh cut off line. But, from the first day I saw him I knew that he was mine. Circumstances had brought us together and throughout the past few years, he’s been an anchor in my life. I’m not terribly good with people, though I’ve become very good at pretending to be. Horses have always been my kind of folk, the kind I understand and actually want to be around. Being with them is freeing and Basjan especially has proven to be an exceptional companion simply because he is mine. We understand a universal truth about each other and that is that almost everybody else in the world is simply background noise. Basjan fears that noise, shying from anybody but myself when they interact with him. I understand that fear because it used to be mine. I’ve never pressured him to be more than he is. A mount, a ride. A pleasure pony and happy hack. I don’t expect him to compete and I certainly don’t expect of him to change. Yet, that nearly changed this year. One day in February I noticed that my horse was somewhat lame when arriving on the farm. He walked with the others, but it was certainly not easy. By the end of that afternoon he could hardly move. The farm workers told me that he had slipped and fell in some mud, but he had gotten up quite quickly and sped off regardless. I had figured that he was simply stiffening up from the ordeal and didn’t really think about it again, deciding to give him rest for another week before riding him again. The next day however, he couldn’t stand. That Sunday proved to be a very long day in my life. We gone to the farm and watched as he painfully tried to make his way around. Every attempt to get up was clearly excruciatingly painful and when he did manage to rise, he tried not to put any weight on two of his legs, particularly his front right. I watched him most of the day and knew that something was very wrong. I tried to contact the local vet but to this day he has not yet returned that call. The other vet in the area killed one of our horses a few years back in a gross misjudgement of treatment so HE was out and the other most reliable vet was in the Kruger National park castrating elephants. This combination of circumstances and perhaps my own mounting sense of dread, forced me to wait a day or two. The world moved to darkness in those few days. The horse did not get any better but all attempts to keep him quiet were met with the full force of his human fear. Struggling with my own work at that time, I couldn’t stay at the farm to make sure that he was quiet so we let him struggle along with the others while I waited for the vet. It was painful to watch because he spend most of the day lying in the grass or struggling to get up or run on three legs, his front always raised off of the ground. The professional one ended up coming one afternoon, bleary eyed and travel weary from his trip back from the Kruger Park from which he had just returned. His prognosis wasn’t good though not confirmed by an x-ray. Basjan had a possible broken leg. He had most certainly torn one of his muscles and ligaments because most of his leg was swollen at that time. He told me that I had very few options. We could arrange for him to be x-rayed and have the diagnosis confirmed (and then make a call as to whether or not to put him down) or we could try and medicate him with some pain medication and anti-inflammatories and see how he responds. It was going to take time, the vet said. A lot of time, money and patience. I didn’t have a lot of money at that time but when it came to Basjan, I’ve always had a lot of patience. I could give Basjan time to heal. I didn’t even bother going for the x-ray because my decision would’ve been the same. I wouldn’t be able to put him down unless I’ve exhausted all options. I didn’t care whether it took weeks, months or even years. I’d have waited. And I did, though it was hard in the beginning. Because of his inactivity, Basjan lost a lot of condition. Despite his original owner selling him to me as a 10 year old, he had been closer to 18. I had known that I was being lied to when buying him but I hadn’t cared. I had always known that this was the animal that I had to take responsibility for. And that responsibility is something I take very seriously. My problem with people and their pets sometimes is that they don’t take having an animal seriously. Whether this is a dog, a cat, a fish or a horse, people tend to dismiss how much responsibility it is. Buying a dog, gives you an animal that can live for 13 years. Buying a cat, one that can live for 16 and a horse one that can live up to 36 to 40 years if you take good care of them. It’s a long time commitment through thick and thin. I’ll elaborate a little more on this in later posts but the message is essentially – if you own it, you’re responsible for it. Animal cannot take care of themselves, so it is your responsibility to meet all their needs above your own because you can fend for yourself. They can’t and shouldn’t have to. My patience paid off in the end. Nearly nine months after his accident, Basjan was completely healed again. I didn’t ride him for most of the year. Although he became soundish after about two months of rest, he was still very lame and I didn’t want to push him. Because I had given him time and didn’t want to mess it up. And, I had my own problems to deal with, so I figured that we both needed a bit of a break. I’ve also since moved him to a stable yard where he can be better taken care of. On the farm he was hardly handled by the hands, only fed once a day. Now he’s at a place where someone can give him joint supplements on a daily basis and I know he’s being given three meals a day. He’s not a young horse anymore, but he’s good and, with luck, he’ll be good for a few years more. This experience, however traumatic for me at the time, taught me to be grateful and it was one of many lessons on this topic I was to learn in the next year. Basjan’s miraculous recovery and the hope that it gave me proved to be the first in a series of events that would sometimes knock me to my knees but which always gave me a moment to bow my head, fold my hands and simply be grateful because inevitably, everything worked out. I seem to remember bouncing as a child, falling down and just getting back up again. I’d fall off of a horse, dust myself off and get back on again, storming ahead with more vigour than I did before. Gravity and a horse decided to conspire against me yesterday when I was pulled mercilessly from the beast’s back and deposited right in the middle of a busy tar road. I fell so hard that I felt my hip bounce off of the tar and strike it again. Unlike in my pre-adult youth, I didn’t just get back up again. No, I was still dragged around as the horse struggled to get away as well (with me clinging to the reins like an idiot…). I should add at this point that I didn’t fall from my own steed. He has more manners than the gelding I rode on Tuesday. I ride this horse as a favour for a friend. He’s… considerably wilder than Basjan. More full of boisterous youth and certainly youthful manners (read none). I should’ve known that it was going to happen at some point or another. Let me rephrase, I knew that it was going to happen at some point or another. It was inevitable. I haven’t fallen from a horse in more than 18 months. I have a pretty firm seat in general and it takes quite a lot to get me unseated. Of course, yesterday it only took a couple of seconds of dropping my guard. The accident happened like this. 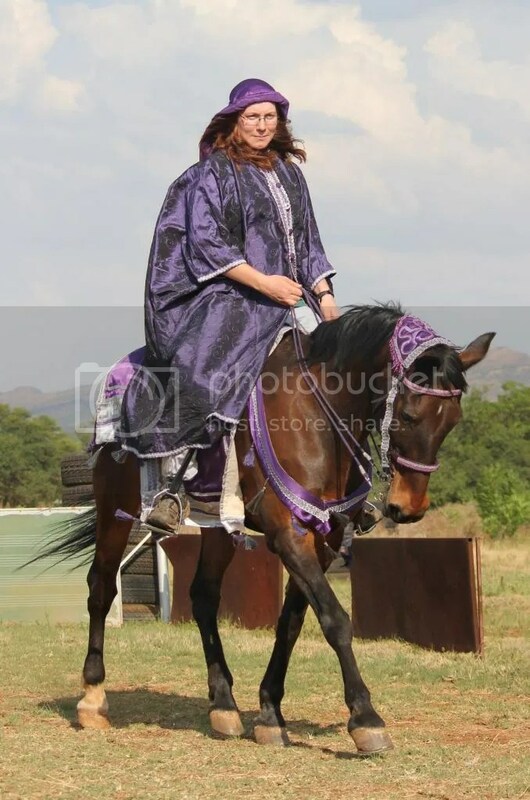 We were trying to get over a busy road (my friend on her stallion and I on this gelding). I should’ve gone in front, but the gelding was fussing so I made a small circle. Meanwhile a gap in traffic opened up and my friend decided to push her horse over the road. He didn’t like it and stopped dead. 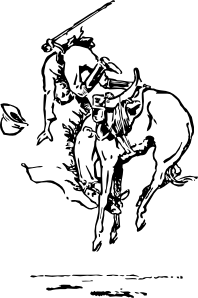 Seeing a potential problem, I pushed my own horse forward, kicked him perhaps a bit too hard and was rewarded by a wonderfully high rodeo like buck. I sat the first one (sort of) but then there was the second. The horse jumped into the air again and spun around in a tight circle. 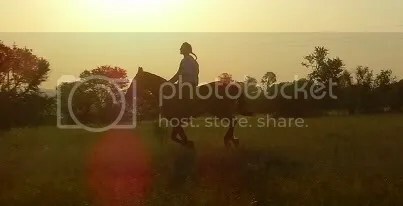 I lost my balance, fell over his shoulder, got my foot caught in the stirrup so that I was wrenched around in the air so that I fell on my right side even though I was tipped off on the left. Sometimes I don’t remember falling, but this time hitting the tar road was unforgettable. My hip exploded in pain and my arm was almost wrenched out of my shoulder socket as the horse tried to run home. The only good this did was drag me out of the tar road. 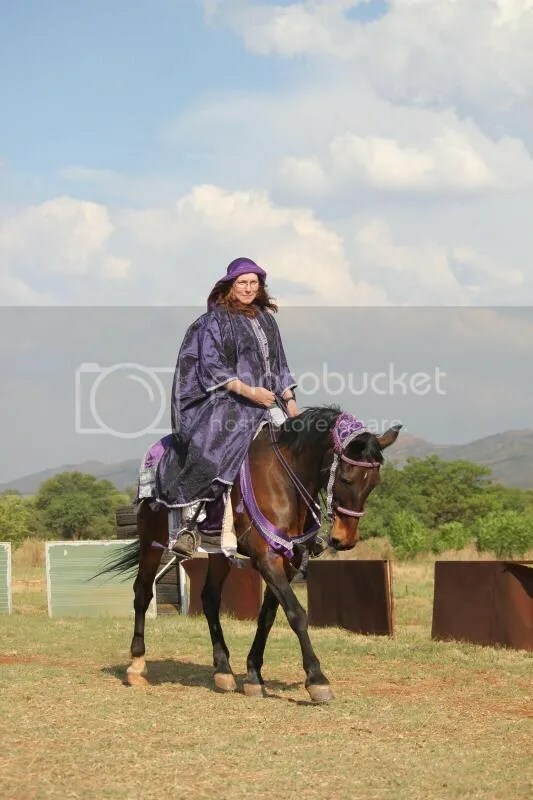 I got up as quickly as I could, my ego bruised and mentally tallying all the witnesses and my friend dutifully grabbed my horse as I took stock of my limbs. I could tell immediately that my ankle was going to be a problem. Although I doubt I broke it or tore the ligaments, it’s most definitively sprained. It’s swollen enough to be. And, although it’s not very blue – my hip (the initial contact point) certainly makes up for it in colour. I got back on again, and we completed a 5 mile ride, but towards the end of it, I told my friend that we had to slow down. I was in agony. Years ago, I’d have stepped away from this fall without a scratch. Now, I could hardly move, let alone drive back home when we finally reached the stables. They say that gravity is a constant, that it affects all of us in roughly the same way, but I would like to disagree with that. The moment your DNA’s telomeres start shortening past the prime mark, you’re done for. Your body composition alters and… Where you are left at the mercy of the force that Newton discovered at the hand of an apple. I might bounce on tar, but light be, I don’t do it gracefully.